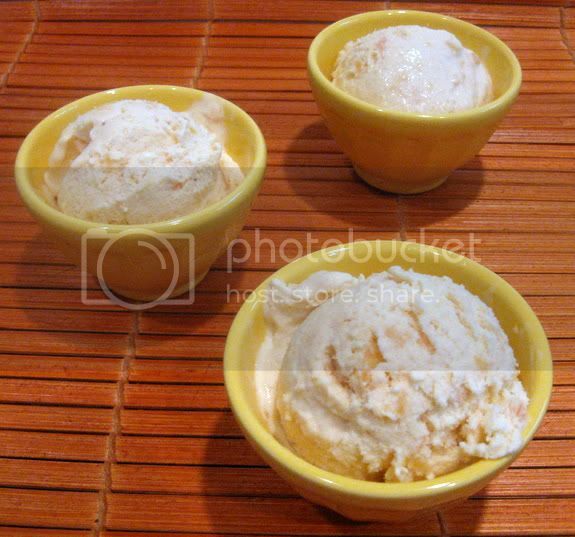 The recipe for Tuesdays with Dorie this week, chosen by Tommi at Brown Interior is for the Honey Peach Ice Cream. I have had my eye on this ice cream ever since I got the book. 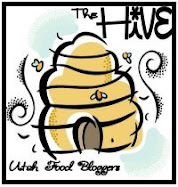 I really wanted to wait until local peaches were really in season here in Utah, but since we are to the recipe already, I decided to find the very best options I could. I headed on in to Whole Foods to find out if there were any decent peaches to be had - and I am so glad I did. I really didn't want this recipe to disappoint me by having to use something else or something that just wasn't good at all. In fact, it was really important to me because my very first memory of homemade ice cream was when I was probably about 10 years old and we were visiting some friends here in Utah (we lived in Wyoming at the time). It is one of my fondest memories because it was a gorgeous, really warm, summer day - the perfect (no wind) kind of weather we never had back home. We played outside all day and had the most awesome time with water fights, trampolines, tag and all that. The day was all topped off with homemade peach ice cream. The funny part is, I couldn't tell you what we had for dinner, but I still remember that ice cream. So, back to Whole Foods. I asked one of the produce guys if he had tried any of the peaches they had in stock. He mentioned that the only peaches he thought were any good there that day were some organic white peaches. I was going to take his word for it, but before I knew it, he was going through all the peaches, cutting me slices of each of the kinds in stock and letting me have a little testing to make sure which ones I wanted. I can't remember the last time I had that kind of amazing service! I actually did go with the organic white peaches, as well as a few yellow peach slices that I had in the freezer. 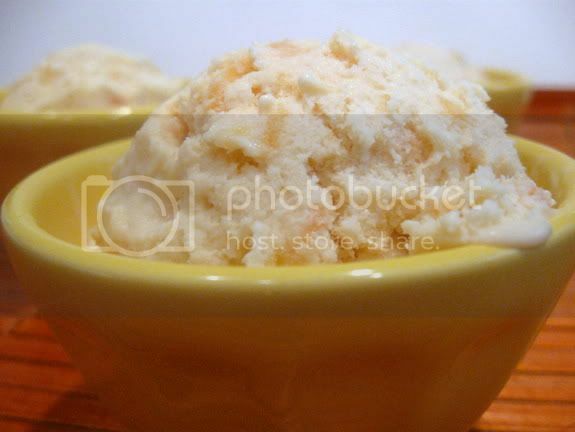 The custard for the ice cream was easy to make and was creamy, peachy, smooth and delicious. Definitely a keeper, and I can't wait to make them when the peaches are really in season here. looks great. 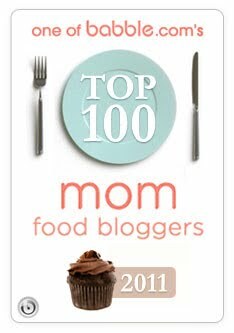 this ice cream is one of my all time favorite dorie recipes. i so wish i had a whole foods close by, the closest one is an hour away. Drool! It's finally hot enough here to think about daily doses of ice cream. What a fabulous recipe. Wow, I'm so impressed by the service you received at Whole Foods! That's terrific! Glad you enjoyed the ice cream - it looks perfect! I'm glad you enjoyed! That texture looks divine! Bravo Holly! Mmm - looks delicious!!! I absolutely loved this ice cream!! Looks fantastic. I love the little bowls. Your ice cream looks amazing! I love that the produce guy at Whole Foods let you taste test. Now that's customer service at its finest. I used frozen peaches, but I will definitely make this again as soon as I can find some ripe ones. That's what I love about Whole Foods...their produce section staff. They really are great. Your ice cream looks wonderful. Absolutely gorgeous! I love foods that stay in your memory for years and years! 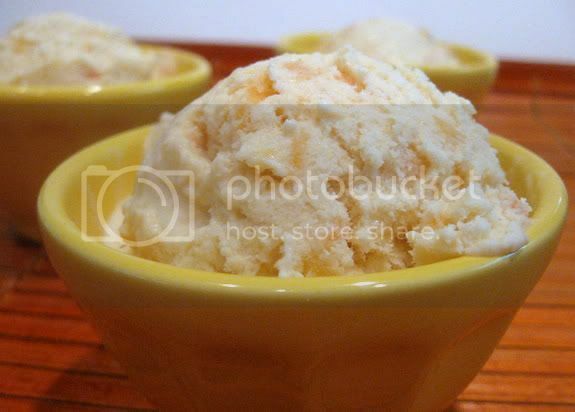 Your Honey Peach Ice Cream looks gorgeous and I love that I can see the peach chunks in it! It looks so pretty in the serving dishes and on the place mat! White peaches - how delicious! Your ice cream looks lovely. Well done. I'm so glad you got good white peaches! I have a white peach tree and the peaches are the most fragrant and juicy ones I've ever had. I love how yours looks soft and melty... that's the best stage to eat it IMO. I want to try this with other fruit purees. I'm also going to do it again when peaches are really in season. Looks amazing! Your ice cream looks so luscious, Holly! Well done! That guy at Whole Foods was a real sweetheart to do that for you. Beautiful photos. Peaches aren't in season yet where I live, either, so I subbed mango! I love white peaches - great idea! Lovely pictures. Well done. Awesome that you would get that service in any store!!! But Whole foods IS that kind of place. Lucky you to have one. I had to use canned because there just aren't any good peaches here yet. So I am looking forward to making it again in july when they come in. That looks so good and refreshing. Looks great. I LOVE white peaches. I never liked peaches until I had white peaches. Just about the best thing EVER!